The KKBOX Music Awards, an annual music event organized by Taiwanese music streaming platform KKBOX, took place on Saturday, 26 January, at the Taipei Arena in Taiwan. The four-hour award show was an extravaganza of some of the best contemporary Mandopop acts – and the performances were absolutely stunning. We bring you the best moments of the KKBOX Music Awards which happened last weekend. 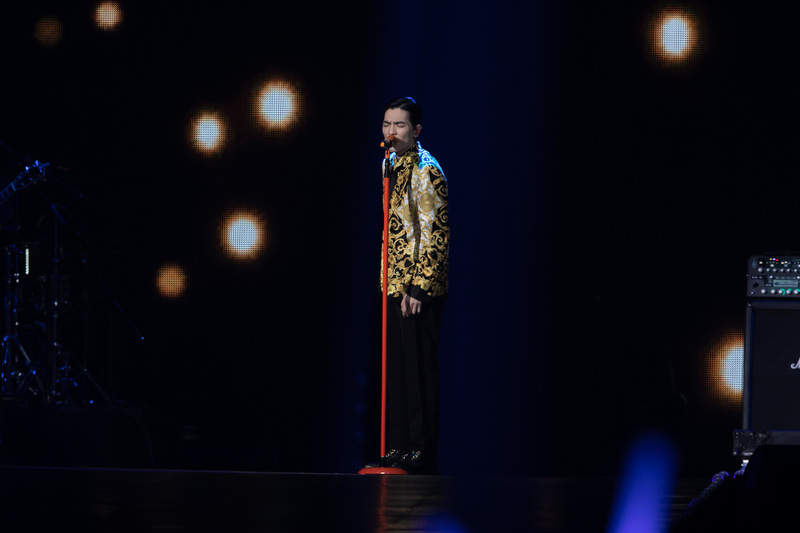 Opening the show with a bang was Artist of the Year Jam Hsiao, who sang two chart-toppers 'Let Me Sing You A Love Song' and 'All About Love'. The two songs brought the audiences in the Taipei Arena to their feet; it also lapped up Jam’s strong vocals. Despite battling a flu, he performed brilliantly. To end off his set, Jam sang an old classic from 2011, 'Miss You Forever', to the delight of his fans. Karen Mok delivered a solid three-song medley, consisting of 'Growing Fond of You', 'Ultimate', and 'Without You'. Donning a fluffy pink frock, Karen took on the stage with confidence, from singing her classical ballads to dancing with a group of male dancers, Karen glowed with charisma. 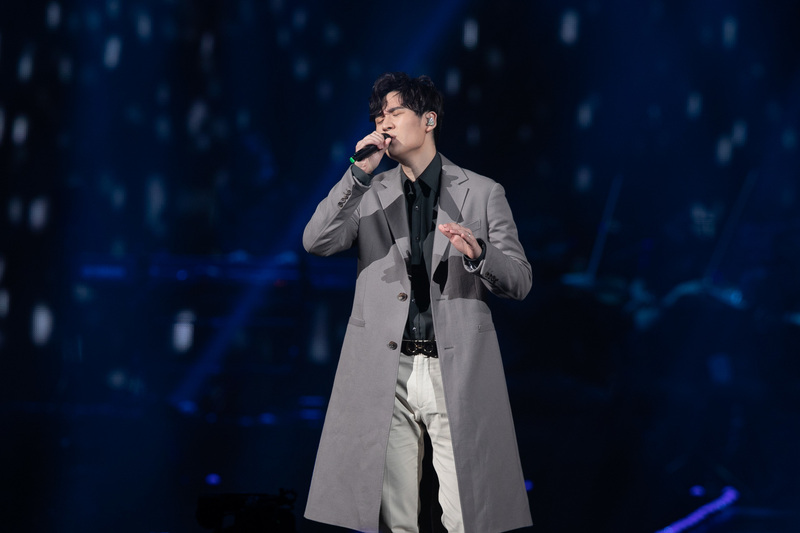 The new prince of ballads, Eric Chou, had the crowd singing along to some of his classic songs in his eight-minute medley. He serenaded the audience with his calming vocals, singing fan-favourites 'How Have You Been', 'Let’s Not Be Friends' and 'The Chaos After You'. Eric has also been composing for other artists, and announced that he will be dropping his latest self-directed music video for 'At Least I Remember' soon. Korean boyband Super Junior graced the KKBOX Music Awards as its second-last act. 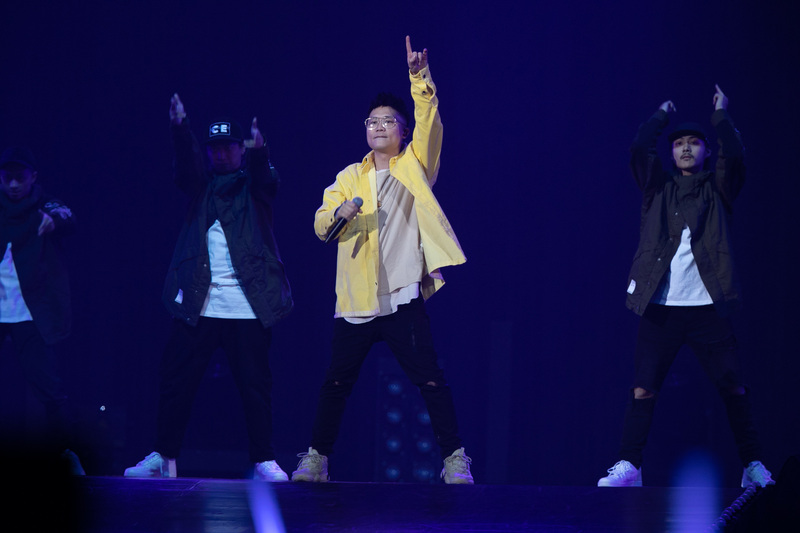 The boyband, which was also the only non-Chinese artist to be awarded Artist of the Year, brought a new wave of energy into the Taipei Arena with its presence. Singing and dancing fervently to songs such as 'Black Suit', 'Sorry Sorry' and 'BONAMANA', Super Junior more than proved its popularity with the crowd, which jumped and sang along. Against the roars of fan chants, the seven members displayed great showmanship and performed a blockbuster show. Super Junior also announced its plans to release a new album in the second half of 2019 once its eighth member, Kyu-Hyun, is back from serving his military service. On top of that, Super Junior mentioned that they are also preparing for a world tour. When asked about the possibility of having a third season of Super TV, Super Junior said that they have begun brainstorming and discussing possible concepts, but will need to wait until Kyu-Hyun’s return for any further developments. Norwegian DJ Alan Walker’s set turned the Taipei Arena into a giant dance floor with his set. The masked DJ collaborated with Taiwanese artists Julia Wu and Eric Chou, performing his classics such as 'Faded', 'Different World' and 'The Spectre'. The cross-cultural collaboration was a meaningful experience to both sides, as Julia Wu delivered a powerful rendition of 'Faded' comparable to the original by Norwegian singer Iselin. Alan also worked together with Eric Chou for three weeks to come up with a new arrangement for EDM hit 'The Spectre', bringing new life to the song. Xiao Bing Chih, winner of the ETtoday KKBOX Singer-Songwriter Award, delivered his top hit of 2018, 'Missing You', on his keyboard. Once the ballad ended, the singer quickly jumped to his feet and brought out a group of dancers to perform 'Marksman', a classic song by Magic Power that once took Taiwan by storm with its easy-to-follow dance steps and addictive tune, leading the crowd to dance along with him. Bing Chih also said that he has plans for a second album, and also an island-wide tour in Taiwan. Although he is still not sure what direction he wants his new album to take, he mentioned that ballads are a very important part of his songwriting identity. When asked about Jay Chou, Bing Chih admits that Jay is his biggest idol, and is going to watch his concert in Las Vegas in February. He hopes that he will be able to meet Jay backstage, and perhaps invite him to collaborate. The final performance for the night, Jolin Tsai, did not disappoint. She opened strong with 'Sweet Guilty Pleasure', dressed in an outfit that looks like she stepped out of an oil painting, complete with a wide-brimmed hat. Despite feeling nervous, Jolin danced hypnotically to 'Ugly Beauty' with the crowd singing along to her latest hit. For 'Hubby', Jolin paired up with dancers from New Zealand to perform a couple dance. When asked about her plans for this year, Jolin said that she has not held a concert at the Taipei Arena for four years, and that there may be plans for a tour, which has yet to be confirmed.